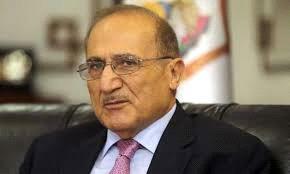 AMMONNEWS - By Jawad Anani - Mustafa Hamarneh finally came, through the Economic and Social Council (ESC) that he chairs, with a voluminous report on Jordan, titled “State of the Country”. It is almost 1,500-page long, and 750 researchers participated in putting it together. It was published almost a month ago, and, unfortunately, has not had the response its issuers had hoped for. It instantly became a classic work, which everyone talks about, but few have actually read. Its sheer size is intimidating. In the years 2012, 2013 and 2014, I was the chairman of the ESC, and we published three annual reports. Thanks to the energy of Hamarneh, the effort has been resumed with vehemence. The value of this rich report lies in its 360-degree purview of Jordan. It tackles its task with a comprehensive and integrated approach. The report is full of very useful details. The other important advantage of the study is that it provides a comparable zero ground information, which will serve in monitoring future changes on the basic issues in Jordan. It also provides a very important historical background for future economic, social and political historians and researchers. Yet, the most important element of the report, in my opinion, is that it raises the question without saying it specifically: What is next for Jordan? The needed fiscal reforms cannot be done in financial terms; it has to deal with current public employment, its modes, cost/benefit analysis and quality of services offered to the taxed public. Thus, if we want fiscal reform, we have to venture into the dangerous zone of employment, performance and quality of public entities and their respective staff. The report takes aim at the many key documents which have been issued and labelled as “reform packages or strategies”, but were all shelved after sucking the oxygen and evincing disappointment. We should be as good in implementing any one of those documents as we are in writing and creating a fanfare about them. The “State of the Country” analyses political reform which His Majesty King Abdullah wrote seven discussion papers on. His Majesty said to a group of MPs he had met with recently that we need a new political parties law, and we need also to reform and rearrange the elections bylaw to afford better legislative representation. The report emulates, in both name and content, the USAID’s State of the Union. This is a descent and a good effort. However, it would have been better if it had projected the challenges that Jordan could encounter in the next two years, and suggested possible solutions to surmount them.